OLYMPIA, Wash. – Four Washington State University faculty were named to the Washington State Academy of Sciences today. New members are accepted in recognition of their outstanding record of scientific achievement and willingness to work on behalf of the academy in bringing the best available science to bear on issues within the state of Washington. PULLMAN, Wash. – Nearly 60 undergraduates from around the country have arrived at Washington State University for unique summer research experiences working with faculty mentors on a wide variety of projects. RICHLAND, Wash. – Improved campus recycling and composting programs, as well as an organic garden for students and employees, are a few of the ideas Randy Bartoshevich hopes to help implement as a new officer in the Environmental Club at Washington State University Tri-Cities. 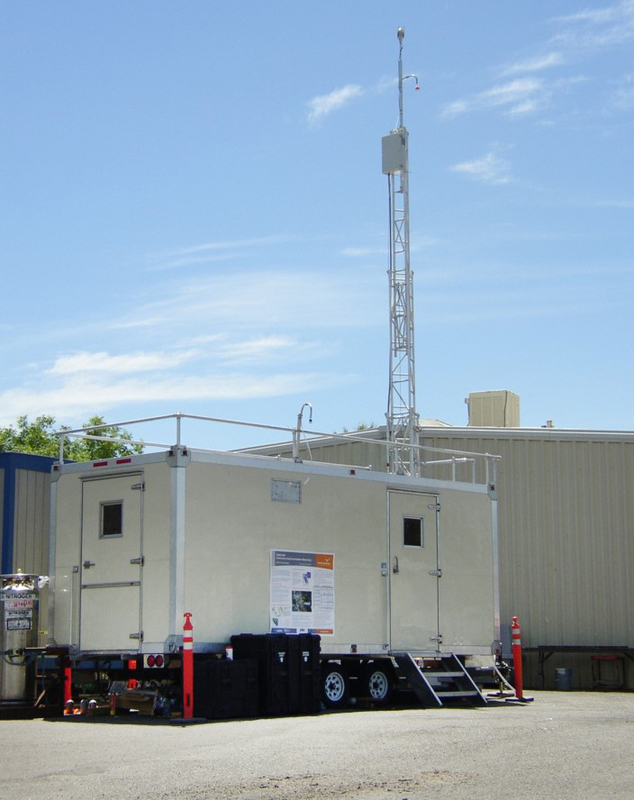 PULLMAN, Wash. – As wildfire smoke covers the Northwest this summer, residents have turned to local, state and federal agencies for up-to-date air quality information. A sophisticated tool developed by Washington State University is a key piece in providing critical air quality forecasts. PULLMAN, Wash. – The thick, gray veil of smoke draped over the Palouse that ratcheted up the smoke advisory to “very unhealthy” appears to have drifted from a cluster of wildfires burning in the Clearwater region of Idaho, according to a Washington State University meteorologist. 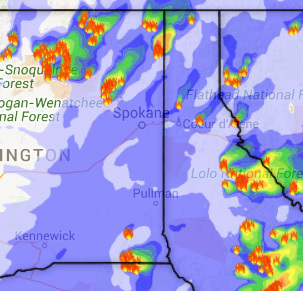 PULLMAN, Wash. – Major firestorms burning in parts of the Pacific Northwest are the result of angry skies pitching lightning bolts to the ground when little or no rain is falling. The fast-moving blazes are destroying homes, closing roads and triggering smoke advisories miles away. Where is the lightning coming from and where is the rain?